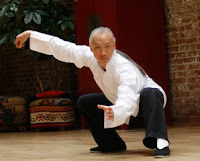 4 - Wed ~ NEW Beginner Tai Chi Classes w/Master Frank Fong 5:45-7pm $90/6wks - Call to RSVP! Master Frank Fong emphasizes soft and gentle movements to promote stress relief, mood enhancement, and a relaxed temperament. His chief goals for his students are self healing and inner development. Step by step, he will help students find their own path and build their own strength and confidence, leading towards a healthy body, a happy spirit, and a better life. Master Fong is from China (Hong Kong), where he learned from three grandmasters. He has been practicing Tai Chi for more than 45 years, and has been teaching it for 30 years. Fong has shared his art in Tai Chi classes through many organizations. He continues to improve on the skill and knowledge by traveling periodically across the U.S., Canada and China to share and exchange techniques with other Tai Chi masters and teachers. He can be contacted via email at f.fong@cox.net. In its first year in Omaha, 12 high schools are competing in Louder Than a Bomb, the world-renowned poetry slam festival started in Chicago 12 years ago. "Ask any Louder Than a Bomb participant and they'll tell you: the poetry is the point, not the competition," said Matt Mason, Executive Director of the Nebraska Writers Collective, the organization bringing Louder Than a Bomb to Omaha. "But meeting other students and hearing their stories, and being able to share theirs, is an important part of the Louder Than a Bomb experience." The competition begins with preliminary rounds on April 15, 17 and 18. The first round is held at PS Collective (6056 Maple Street) on Sunday, April 15 at 2 p.m., 4 p.m. and 6:30 p.m. The second round will be held on April 17 and 18 at the OM Center, 1216 Howard Street at 6 p.m. and 7:30 p.m. both days. The event culminates with the final competition on April 20 at 7 p.m. at Creighton University's Harper Center Auditorium on 20th Street between Webster and California Streets. The public is welcome to attend the events. Events are free, $5 donation suggested but not demanded. For more information, visit ltabomaha.org. 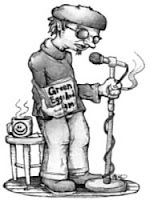 Louder Than a Bomb is a teen poetry festival founded in 2001 by Young Chicago Authors. As they put it, the event aims, “to bring teens together across racial, gang, and socio-economic lines, LTAB is a friendly competition that emphasizes self-expression and community via poetry, oral story-telling, and hip-hop spoken word.” It focuses on cooperation, with teams of students working together to write, revise, and rehearse their performances. Now more than 600 teens from over 60 Chicago schools participate, and the event was recently the subject of an award-winning documentary from Siskel/Jacobs productions. Apr. 28 - "Introduction to Leadership Skills for the 21st Century Through The Way of the Horse"
Discover the great value of Consensual Leadership. View excerpts from “A Pioneering Spirit” PowerPoint presentation and participate in an open discussion session about the value of horses as an innovative approach for developing Consensual Leadership. Participate in an Equine Facilitated Experiential Learning session with Tulip, a minature horse, to test your body awareness and leadership potential. No horse experience is necessary.